An Ontario Liberal MPP has introduced a private member's bill that would give municipalities across the province the power to ban the sale of handgun ammunition within their boundaries. 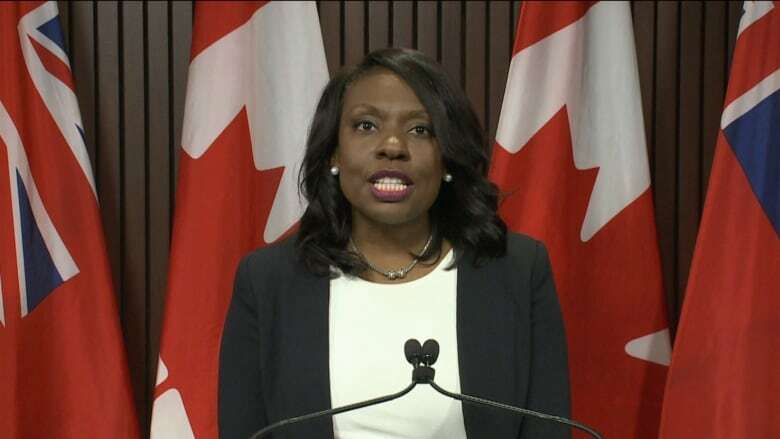 Mitzie Hunter, who represents Scarborough-Guildwood, said she tabled the bill in the Ontario Legislature on Tuesday because the province needs to take immediate steps to stop "escalating occurrences" of gun violence in Toronto and elsewhere. "All governments must work together to fight this horrific destruction of our neighbourhoods and streets, where mothers are afraid to allow their children play in playgrounds, where children are afraid to sleep or dream because of nightmares," Hunter said. The violence is creating "havoc" on city streets and in neighbourhoods and communities, she said. Hunter said she recently met Stacey King, the mother of two girls, aged five and nine, who were injured in a shooting at a Scarborough playground in June. The shooting caused much fear and anxiety, she added. "Her daughters ... showed me their scars, with bullet wounds above their right ankle and stomach," Hunter said on Tuesday. "And while the scars have yet to fully heal, the emotional and psychological scars are unknown. And while this is happening in our neighbourhoods, we know that school is just around the corner. I wonder what these girls will tell their classmates about their summer." Hunter said when she visited the playground on a Saturday morning, it was deserted. 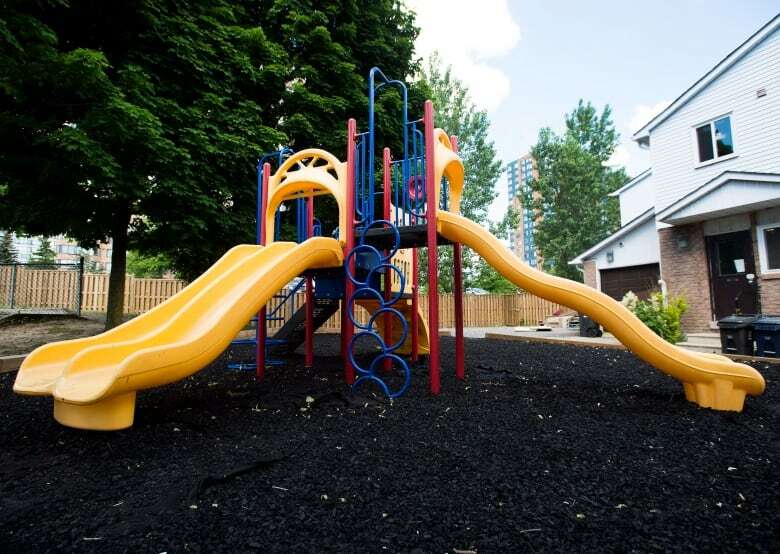 It's located in the housing complex at 10 Alton Towers Circle, near McCowan Road and Steeles Avenue East. "Gun violence must end," she added. The legislation— Bill 30, Fighting Back Against Handguns Act (Handgun Ammunition Sales), 2018 — has passed first reading. Under the bill, municipalities would be able to ban the sale of handgun ammunition by enacting bylaws. The bill contains provisions that state a person who violates the bill would be liable for a fine of not more than $50,000. More money for policing is not the answer, said Hunter, who added she also talked to other families affected by gun violence. Governments need to limit access to handguns and to increase social and economic opportunities in low income communities, she said. That means the province must make investments in youth training, employment, mental health and access to post-secondary education, and such spending will lead to lasting change, Hunter added. "We can't let this take over our neighbourhoods." Neil Price, a community researcher in Scarborough and associate dean of the school of social and community services at Humber College, also spoke at the news conference, saying restricting access to guns and ammunition is an important step. "Guns and ammunition are the lethal hardware that are often used illegally to cause injury and death in our communities," he said. "It is therefore pertinent and important that we want to find a way to reduce access to these materials. And this bill proposes one way to do just that." Price said he urged all MPPs to pass the bill but said more needs to be done. "While I fully support this bill to reduce the sale of ammunition in our communities, we cannot view it as a panacea. Approaches to reducing gun violence must be comprehensive, evidence-informed and long-term in focus." He called for a "sustained" public health focus on the issue that looks at the underlying causes of gun violence. That means looking at the state of social housing, schools, rehabilitation of people leaving incarceration and a focus on ongoing need to improve relations between police and communities affected by the violence. "Countless research has found that gun violence is rooted in social and economic inequality."